Tips for your home and garden. Get Latest Restrictions Info Here! Thank You for Choosing AIG Lawn! 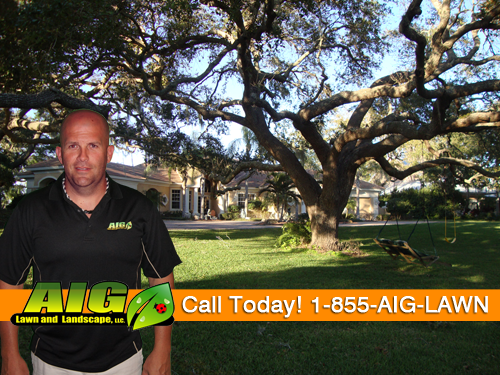 AIG Lawn has been providing excellent custom lawn care services to their clients for many years. We have a strong reputation as being a leader in professional lawn service providers in the Pinellas, Pasco, and West Hillsborough, FL area. A full service lawn maintenance company, AIG Lawn can service your every need; from trimming and lawn mowing to complete property guidance. We are your one-stop location for both residential and commercial maintenance. Our certified professional lawn maintenance staff are fully qualified to handle any horticultural service that you require. We promote a honest, reliable and positive work environment in order to best serve our client's needs. When you trust your property care to AIG Lawn, you can be sure that you are receiving the absolute best customer service, quality and turn around time possible. We pride ourselves on several important lawn care factors when handling your lawn service needs. AIG Lawn is proud to serve Pinellas, Pasco, West Hillsborough FL and offers consultations for all new customers that are considering our lawn services. AIG Lawn will bring your beautiful property dreams to life. Whether you have a small home lawn service requirement, a large commercial property or simple lawn maintenance such as weeding and mowing, you can trust that you will find no better lawn services than those of AIG Lawn. AIG Lawn, was founded with one simple principle in mind: provide unparalleled customer support and outstanding quality lawn maintenance services. Since our founding, we have built up a staff of lawn professionals to serve your every lawn maintenance need. We employ lawn maintenance experts in plantings, lawn care and horticulture to give you a personalized and custom approach to all your outdoor needs.